Are you ready? We’re about to flip the script on digital handwriting as you know it. Handwriting recognition has come a long way from the days of the Apple Newton but until now, it hadn’t bridged the gap between the natural input you want and the digital input we use in our everyday lives. 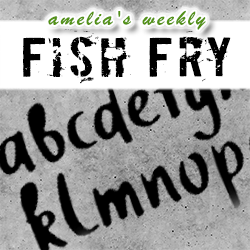 In this week’s Fish Fry, we take a closer look at a new technology from MyScript called Interactive Ink. Gary Baum (VP – MyScript) joins us to discuss the what, where, and how of this revolutionary new digital handwriting technology and why it’s going to change the future of human machine interfaces. Also this week, we check out the many challenges of choosing the right connectors for embedded vision designs.